1. First, in his only contradiction as to why there isn't more bartering taking place, Gershman suggested that much more barter does actually occur in the marketplace than we think. However, because of the negative connotation in some quarters, it's labeled differently by the participants. Example: We don't barter, we exchange real estate. 2. Then he proceeded to note why there isn't more bartering: We've been conditioned to think cash. Best illustrated by the actions of a company that is willing to sell distressed/over-run merchandise for pennies on the dollar (10-15 cents) because it's "cash," versus trading for a $1.00 worth of a product or service. 3. Gershman heard from a prominent airline executive that there is a psychological problem regarding "barter." As kids we all traded, the executive explained, now as adults we tend to still think of barter as we did when we were 10 years old--and seeing ourselves thinking in this context presents a psychological problem. It's something "kids do." 4. Another well-known psychologist suggested the reason for barter's negative connotation is the tenuous ties to reality in our society, one of which is money. "When you circumvent money you're threatening to cut someone's ties to reality. We all want security, not threats." 5. On the positive side, Gershman said that the perception will change through education and the passage of time. "It's a great way to do business and it has a tremendous future, but good public relations are a must too," Gershman emphasized. Note: What are your thoughts on the subject? Your comments are welcomed, e-mail to: bmeyer@barternews.com. Megarry was inspired to take action after a 1983 visit to a slum outside Lima, Peru, where he was attending a publishers' meeting. Although Megarry was born in a slum in Belfast, he recalls never having seen Third World poverty on such a scale. A few years later while visiting a technical school for boys in Lima, the Canadian priest who ran the school told him they needed saw blades and drill bits. Megarry wrote to the president of Sears Canada, and in exchange for the donation of new drill bits and other parts, Megarry traded Sears ad space in the Globe & Mail. In 1992 he quit his career as a publisher to devote more time to Tools. Last year Megarry got a Rotary International arm to pick up 75% of the cost of shipping tools from Canada. So far 2,500 entrepreneurs have used Tools to buy 6,000 pieces of equipment for $1.2 million. Megarry says they've created or helped sustain 10,000 jobs. Now his fostering entrepreneurship efforts are looking to tap into the U.S. corporate marketplace for tools. We looked at the value of one's "Intangible Assets" and the famous 33-year-old motivational guru Anthony Robbins. He traded on his name, reputation, and charisma (but no money) for a $276 million stake in a new self-improvement web site. Also noted in our very first newsletter was a new site, TradeandSwap.com. And the incredible trade of Barry Halper's--where he tradedsix bottles of J&B scotch to Lou Gehrig's widow for Gehrig's New York Yankee uniform. Halper later auctioned off the uniform for $450,000! Do you know the four steps to follow toward developing a successful reciprocal purchase when vendors call on your company? 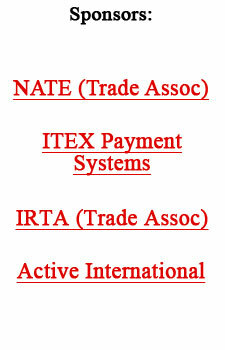 Click on "What's New," then click "Trade exchanges" to find and read the article. Follow-up on last week's "The Future of E-Business," where we suggested that other sectors of the marketplace, notably the travel industry, would educate the masses and change their habits regarding online interaction. AirTran has announced that they are now selling more than 50% of its tickets online. According to Jupiter Media Metrix, online sales (of airline tickets) accounted for 15% in 2001...up 50% over 2000. Jupiter expects that share to double again by 2007. The National Association of Trade Exchanges (NATE) has hired Melanie Warner (melaniefilm@yahoo.com) to be the new BANC broker. Warner has interacted with numerous trade exchanges for over a decade, and will now interact with all 64 current members. The BANC has a sales volume of about $500,000 per month. The $584 billion U.S. travel industry has bounced back faster, and in better shape, than many experts had predicted. Discounted rates, targeted advertising, and a rebound in consumer confidence have all helped lure leisure travelers out of their houses and into casinos, cruise ships, and, to a lesser extent, hotels. The lagging part of the turnaround revolves around the business traveler (who stay in hotels during the week). Until corporate profits pick up, and business representatives begin traveling more, hotel occupancy will suffer. What's the value of a sterling reputation in today's business marketplace? For Warren Buffet's Berkshire Hathaway it means he can sell a 5-year bond to raise $400 million, and for the first time ever, have the holder of the bond pay him interest (around 1%), rather than Berkshire paying interest on the convertible bond (the bond buyer has an option to buy the stock). It's a first, and a winner for Buffett either way it goes...as he collects both $400 million and interest on the bond deal. And down the road, if the bond is converted into stock, he collects a 15% premium over the price of Berkshire shares at the time of sale ($77,900). TV advertising's changing environment sees marketers shouldering more of the production expenses in exchange for perks that can include product placement, sponsorships and/or sweepstakes. For example, Johnson & Johnson is funding two movies for the TNT cable network in return for extensive sponsorship rights. JD Events of Fairfield (CT) is producing TravelCom, the first annual Travel Commerce Conference & Expo. It will be held June 4 & 5 at the Hilton New York, in NYC. "TravelCom is a two-day travel marketplace where hundreds of industry practitioners barter goods that range from best practice ideas and opinions on trends, to services and products," reports Susan Black, co-chair of the event. Not surprisingly, a new Wall Street Journal/NBC poll shows a stark reversal from four years ago, with public esteem for business leaders and executives dropping significantly, following disclosure of Enron executives enriching themselves while concealing financial problems from investors. And that thinking is matched by support for more government regulation. Actually, the USPS is an amazing operation. They deliver 40% of the world's mail volume at the lowest First Class postage rate of any industrialized nation. And in making 128 million house calls a day, their weekly deliveries are higher than the combined efforts of UPS and FedEx in a year. If you've missed any of our weekly Tuesday Reports the past three years we have an archive of past issues for you at the bottom of this week's letter...check it out! A barter marketplace organized like an auction with the bids made "in kind" rather than cash. It is also known as a trade auction. Something other than price that a client acquires when completing a transaction.